Mark requested sangria as part of his Father’s Day eat-a-thon. Hands down, this is the best sangria I’ve ever had. Not too sweet. And not like drinking fruit salad. I used this wine pick because according to Cook’s Illustrated cheap wine is actually better for sangria (yay!). They are the uber recipe testers so why waste money on an expensive bottle? 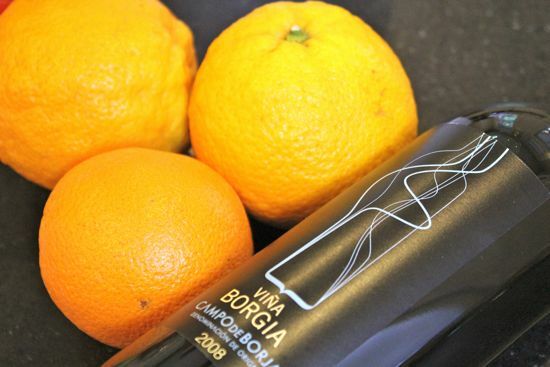 You only need four ingredients: wine, Triple Sec, sugar and oranges. Simple is good. CI experimented with many fruit combinations and I’m kind of glad to dispense with the apples, peaches, etc., that usually end up in sangria. 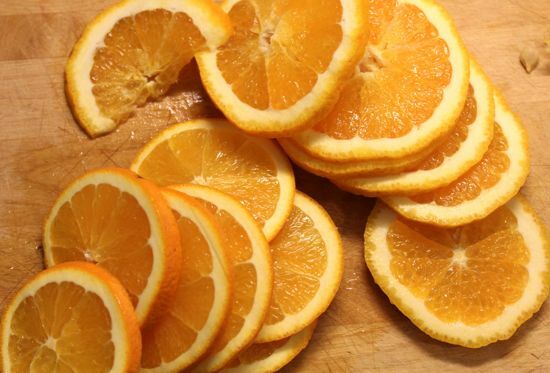 The bits of citrus fruit make it fruity enough and give it a tangy, smooth taste. Add sliced oranges and sugar to a large pitcher. The original recipe calls for one sliced orange and one sliced lemon. I didn’t have a lemon on hand so I used two oranges instead. It still tasted great. Just add a splash of lemon juice. Mash gently with wooden spoon until fruit releases some juice, but is not totally crushed, and sugar dissolves, about 1 minute. This is a great job for kids – Caroline totally got into it. Stir in orange juice, Triple Sec, and wine. Refrigerate for at least 2 hours. Mine sat in the fridge overnight so it was really fruity and mellow. Add 6 to 8 ice cubes and stir just before serving. YUM! Thanks for sharing! Found you via Somewhat Simple. Yum, Stephanie! It's one of my favourites on a hot summer's day! That sounds refreshing and simple. Great recipe! 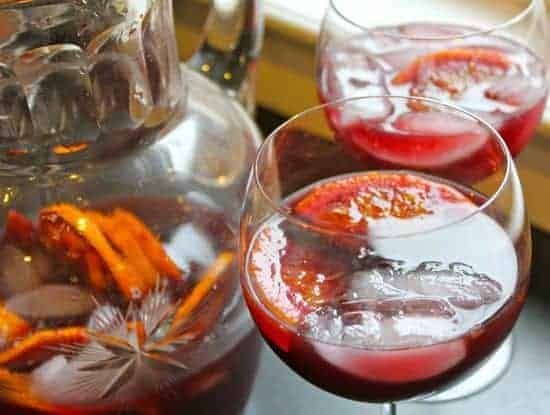 I LOVE sangria but had never made it myself! This would be perfect for a nice evening on the back of our deck. Marking in my recipe faves folder! 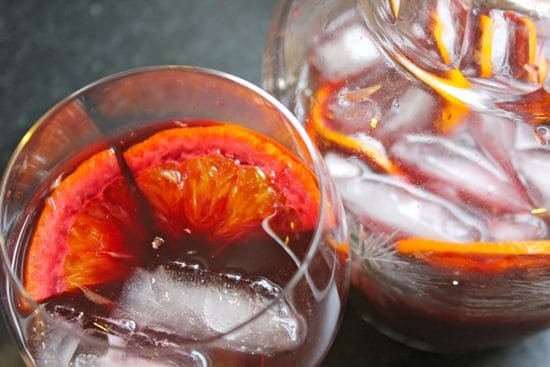 I love Sangria and I like your recipe Staphanie.It is easy to make. I make a similar recipe. I will have to try this one. I use charles shaw shiraz it adds a little spice to it. I freaking love sangria! My sister makes the best kind ever but refuses to share the recipe. MAKING this. The end lol! Looks SOSOSO good! Sangria!? Mmmmm, yes please! Great idea for next weekend on the patio!